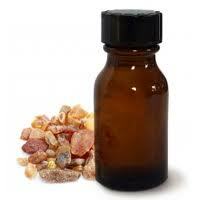 We are engaged in offering Olibanum Oil, which is also known as Frankincense Oil. Olibanum Oil, popularly known as the âï¿½ï¿½Liquid pearls from the tree of lifeâï¿½ï¿½, is extracted when an incision is made on the bark of the tree. With the incision, the tree emits a milky juice that gets hardened because of its exposure to air and produces an aloe gum resin from which oil is extracted. We provide the Olibanum Oil in total leak proof packaging to ensure its safe transportation and delivery. Olibanum Oil is one such oil that has the ability to sooth the entire body both physically and mentally. Being associated with the psyche, which in Greek means âï¿½ï¿½breathingâï¿½ï¿½, Olibanum Oil has such properties that deepens and invigorates breath, helping in achieving a serene and calm disposition.